Conway Family Dental opened in August, 2010 after buying the practice of David A. Sporcic, DMD, who had operated at this location on Washington Street for more than 36 years and had established a reputation for having the most skilled and friendly oral care office in the Mount Washington Valley. It is a reputation that we work to uphold every day. Dr. Steve Wehrli has practiced patient-focused dentistry since graduating from the University of Nebraska College of Dentistry in 1974. He lived and practiced in Goffstown, New Hampshire for more than 25 years before moving to Conway to enjoy the outdoors and local quality of life. His professional passion is to learn the newest dental technologies in a manner that positively impacts patient health, aesthetics and well being in a cost efficient and effective manner. He is an avid hiker, biker and skier, a recreational gardener and an occasional motorcyclist who can often be found on the trails, chair lifts, rivers and back roads of the Mount Washington Valley. Dr. Wehrli's family includes his son Nate, who is veterinarian in the Washington DC area, and his daughter Annie, who also makes the Mount Washington Valley her home. Dr. Anthony Boschetti (Dr. Tony) has more than 34 years of dedication to public health, education and the betterment of the practice of dentistry. A graduate of the Tufts University School of Dental Medicine, he has combined private practice with public service by having worked in community clinic settings, taught dentistry and public health in dental schools and in the community college system, and assisted compliance oversight for state agencies and private consultancies. 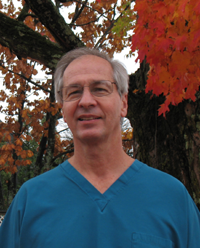 Dr. Tony is licensed to practice in New Hampshire, Maine and Massachusetts. His family includes his wife, son and daughter. Dr. Joshua Sevigny graduated from the inaugural class of the University of New England College of Dental Medicine in 2017. He was raised in North Berwick, Maine, and has been a frequent visitor to the Mount Washington Valley throughout his life. Prior to attending dental school, Dr. Sevigny received a degree in dental hygiene and practiced as a hygienist for five years. During that time, he honed his skill with patients and gained invaluable experience by being exposed to the many dental philosophies of the dentists with whom he worked. During dental school, he completed several rotations in clinics and dental offices in New England and learned many techniques and skills that only come with experience. His passion is to provide excellent care using all patient-specific information, including their general health history, personal expectations and capacity to accept treatment. Dr. Sevigny now lives in Conway with his wife, daughter and two French Bulldogs. He enjoys hiking, water sports and all things food-related that the area offers. Beverly Aiman comes to Conway Family Dental Care with 30+ years experience in the dental field. Fifteen of which were with Doctor Wehrli at his Goffstown office. Bev brings a zeal and passion for giving patients the best care possible and strives to make all her patients feel comfortable and cared for. Bev is a recent transplant to the area and lives near the Maine border with her husband, Scott and their two dogs. 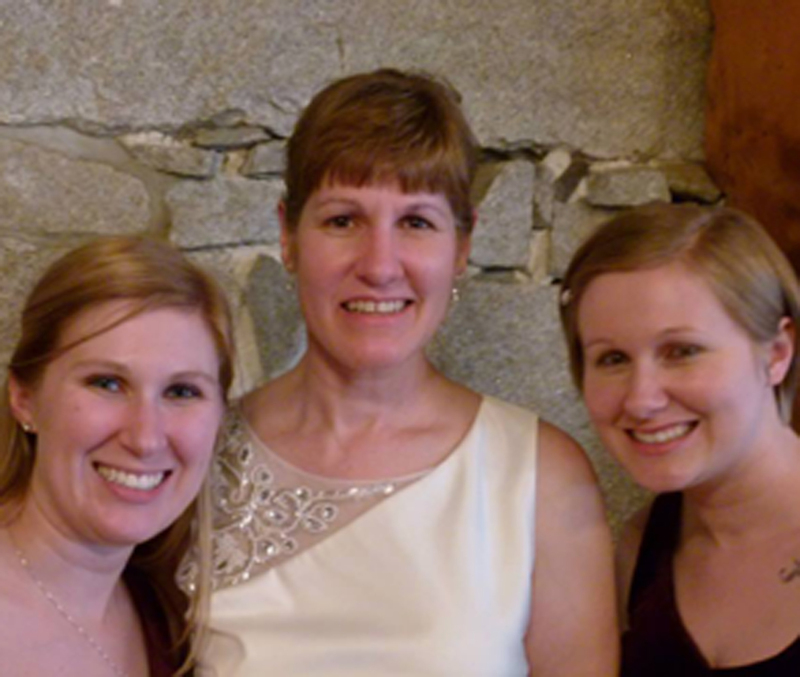 She has two daughters, Jess and Nicole; a son, Greg and a step-daughter, Maegan. She likes to spend her free time gardening and quilting. Kim graduated from NHTI, Concord’s Community College. While attending NHTI she was Vice-President of the Student American Dental Hygiene Association for two years where she donated her time educating at the local schools and working at the Special Olympics. 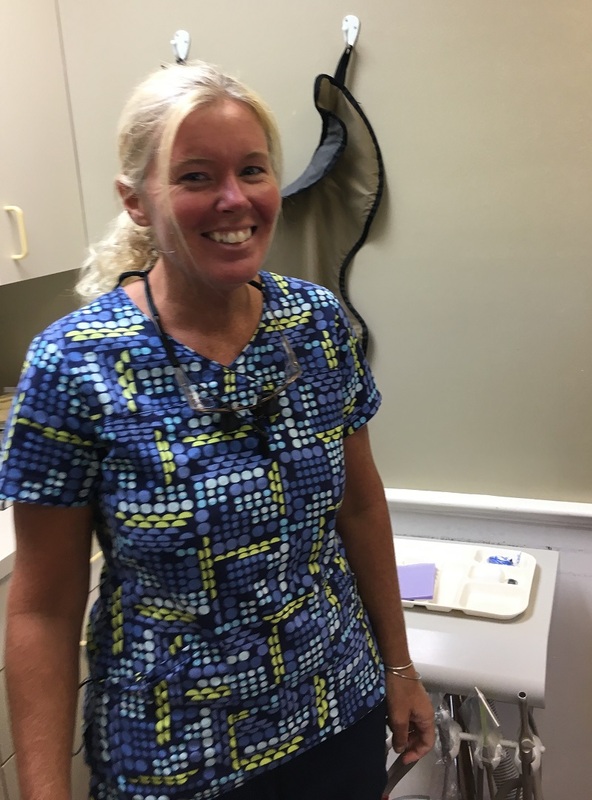 She has completed her schooling and is excited to move into her role as a dental hygienist in the Conway area. She is originally from northern New Hampshire and is thrilled to be in the Mt. Washington Valley. Although new to the office and practice of dental health, she enjoys getting to know her patients individually to provide high quality of care with a friendly and skilled approach. Her main goal is to help others in a relaxed atmosphere to the best of her ability. As an avid lover of the outdoors she enjoys skiing, snowshoeing, kayaking and hiking with her dogs and family. She can also be found quite frequently playing a round of golf or just relaxing in the sun with a good book. Sarah joined Conway Family Dental Care in May of 2017. She graduated from the dental hygiene program at University of New England in Portland, Maine in 2008, and then practiced in Massachusetts at a pediatric dental office for six years before moving back to Southern Maine. There, she worked for several years at a general dentist office as well as at another pediatric office before moving to the Mount Washington Valley. Sarah grew up in Massachusetts and was exposed to the career of a Registered Dental Hygienist through an Aunt who practiced. A passion for working with children and adults to help them achieve good oral health was formed early and has continued to grow. She loves spending time with her husband, Dr. Joshua Sevigny, and their two French Bulldogs, Gus and Lolo. In addition to having fun with them, she enjoys her new hobby of cake decorating. Shannon Grever joined Conway Family Dental Care in early 2015 as Office Manager. In this role, she has the primary responsibility for ensuring that all aspects of connecting patient care with the needed administrative support are handled professionally, including account management, insurance verification and billing, scheduling, compliance with the various regulations surrounding privacy and other patient protections as well as all communications with other medical providers and the patients themselves. Prior to her time in this office, she lived in the Bay Area of California and had a successful career in management with a pet food specialty organization. When she isn’t juggling the many tasks of her position, she enjoys time spent with her family, photography, and cooking and baking. Shannon lives in Center Conway with her husband and two daughters, and their yellow lab. Peter Jones joined Conway Family Dental Care in mid-2017 as Assistant Office Manager. Most of his previous career was in the hospitality and food service industry, including owning and operating several restaurants, including Abenaki Trail in North Conway. When he is not making confirmation phone calls, verifying insurance eligibly, and answering patient questions, he enjoys skiing, especially being a member of the Nitrous Oxides, the First Place 2018 Mountain Meister race team. He also plays golf, loves the beach and works on not falling down. Peter lives in Denmark, Maine with his fiancé and their pack of boxers. Conway Family Dental Care, PLLC. All Rights Reserved.